Mistakes with personal protective equipment by health-care workers results in contamination by antibiotic-resistant bacteria, says a new report published in Infection Control and Epidemiology. More than a third of health-care workers acquired a multidrug-resistant organism during the study. Health-care workers caring for infectious patients sometimes make mistakes when removing personal protective garments, resulting in contamination of clothes or equipment with antibiotic-resistant bacteria, a small study shows. "No one is perfect and inadvertent health-care worker contamination with multi-drug resistant organisms can occur and may be a key step in the spread of potential pathogens in health-care settings," said lead study author Dr. Koh Okamoto of Rush University Medical Center in Chicago. "The more we understand how and why contamination happens, the better prepared we are to help health-care workers avoid it," he told Reuters Health by email. Over a six-month period, Okamoto and colleagues observed 125 health-care workers, including 83 nurses and 24 doctors, in four adult intensive care units at their hospital. 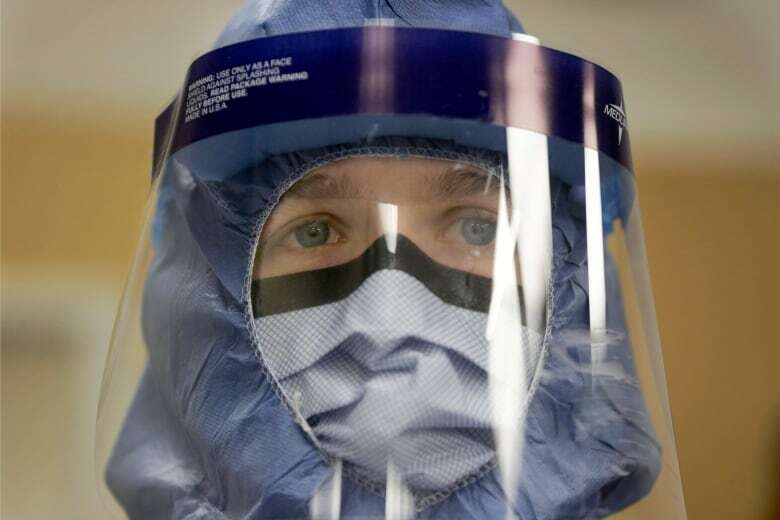 Half of the doctors and nurses had received formal training in the use of personal protective equipment for the Ebola virus within the previous year, and 90 per cent had received "donning and doffing" training within the previous five years. 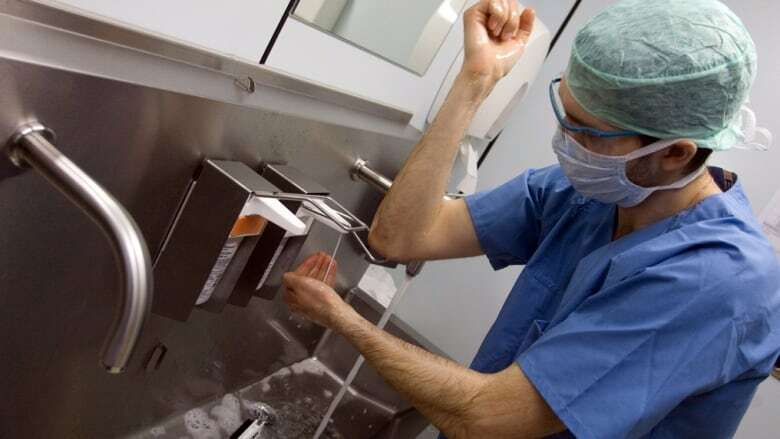 During the study, the workers oversaw 95 patients with contact precautions for methicillin-resistant Staphylococcus aureus, or MRSA, as well as vancomycin-resistant Enterococci and multidrug-resistant gram-negative bacilli. The research team collected 6,000 samples from 5,000 sites around the ICUs, including items that had touched the patient's body and environmental surfaces such as blood pressure cuffs, call buttons and sinks. They also tested the health-care workers' hands, gloves and gowns before and after patient interactions. In addition, they watched the "doffing," or removal process, and recorded errors based on Center of Disease Control and Prevention guidelines, which recommends removing gowns and gloves together. Four health-care workers had it on their hands. Four had it on their clothes or jewelry. Three had it on their stethoscope. Two had it on their in-hospital mobile phones. About 70 per cent of environmental sites had organisms, especially items that were close to patients such as blood pressure cuffs, call buttons and bed rails. Overall, 49 workers, or 39 per cent, made multiple doffing errors and were more likely to have contaminated clothes after a patient interaction. For instance, all four health-care workers with hand contamination made errors while removing their gowns and gloves. In particular, hand contamination was 10 times higher when gloves were removed before gowns. "Our study occurred in a real-world busy ICU setting where the rush of crisis care makes simple slip-ups more likely," Okamoto said. "This allowed us to better observe donning and doffing methods and potential errors of various health-care workers." Simple interventions are needed that reinforce the preferred order of doffing, which could reduce contamination, he said. Removing gloves and gowns together as a unit, for instance, seemed most helpful in preventing self-contamination. "While we need more research to better understand potential transmission risk, we can also focus on strategies to assist health-care workers with properly removing gowns and gloves," said Sarah Krein of the University of Michigan in Ann Arbor. Krein, who wasn't involved with this study, has researched infectious agent transmission precautions in hospitals. For example, signs or cues inside patient rooms could remind health-care workers of the proper procedures for removing gowns and gloves, she said. Some researchers are also working on a gown redesign that would use colour coding to better identify the outside of the gown, so workers can more carefully remove it, roll it up and dispose it. "Although a seemingly simple process, mistakes can occur during the removal of gowns and gloves," Krein told Reuters Health by email. "While this doesn't necessarily lead to an infection, it is important to find better ways to help health-care workers with this process to ensure patient and health-care worker safety."